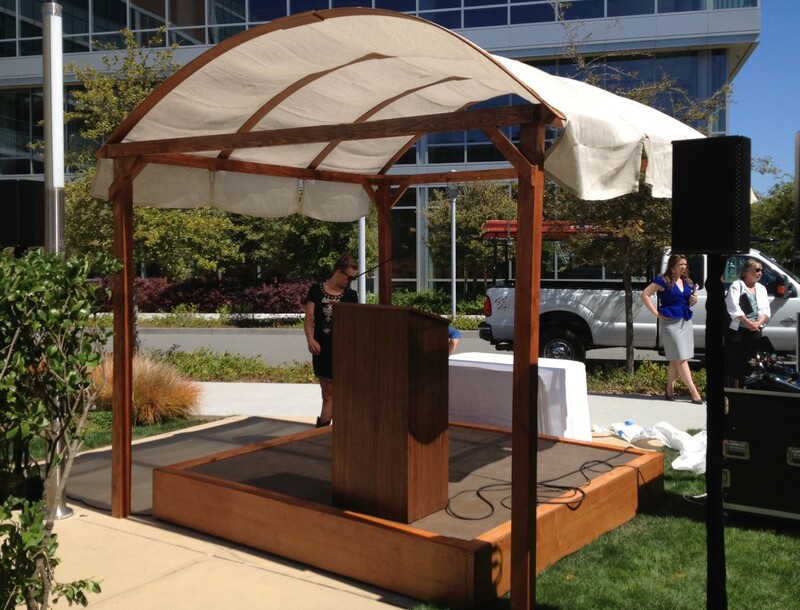 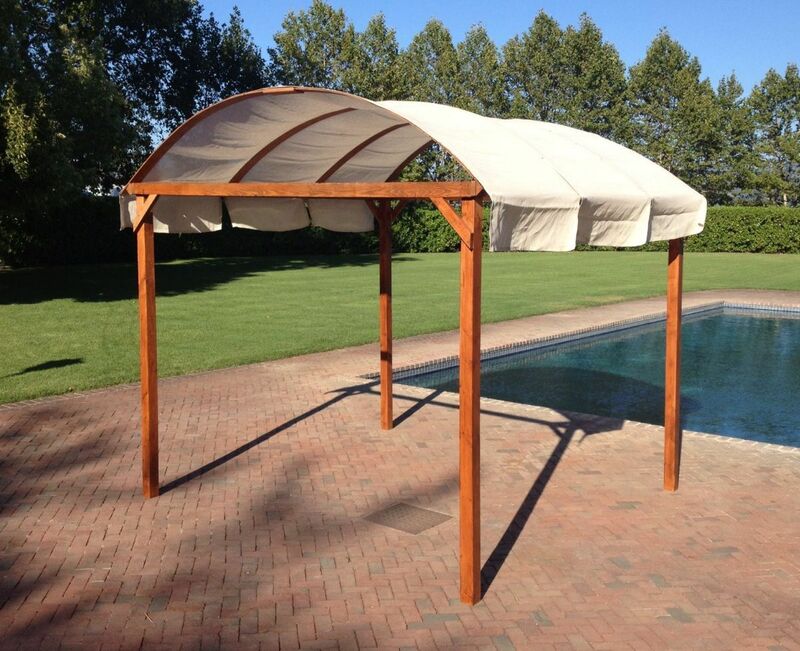 Our wood strucure options include 10′ x 10′ cabanas and 10′ x 20′ wood shade structures. 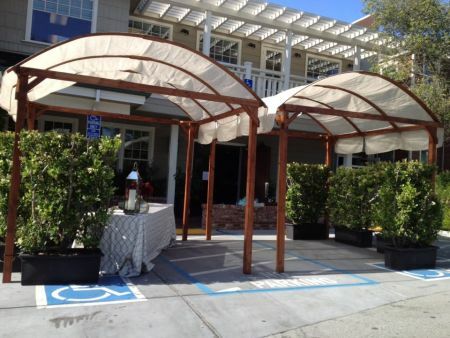 The 10′ x 10′ cabanas are great for shading a cocktail trio, a welcome area, a market stand, or a poolside lounge. 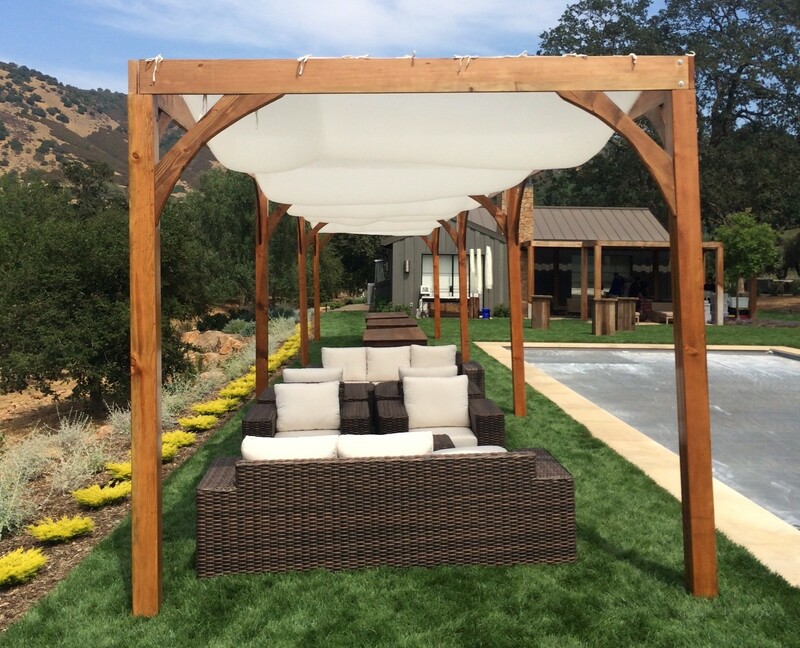 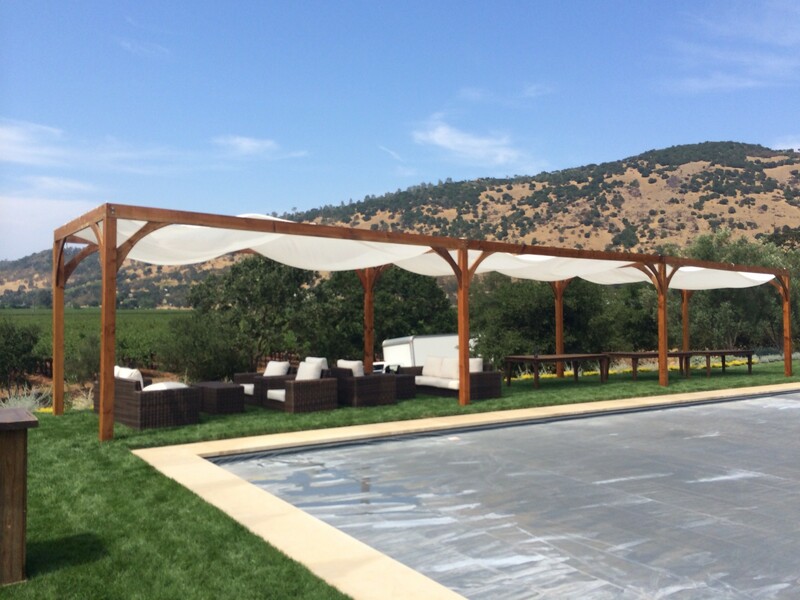 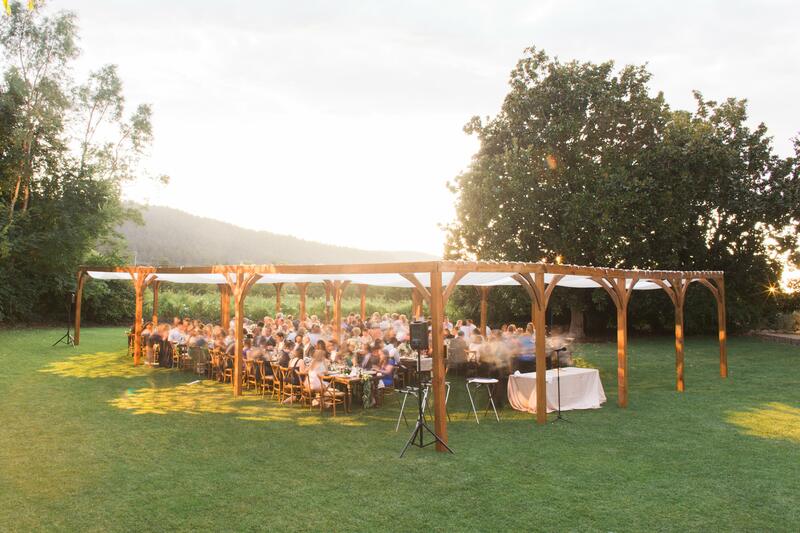 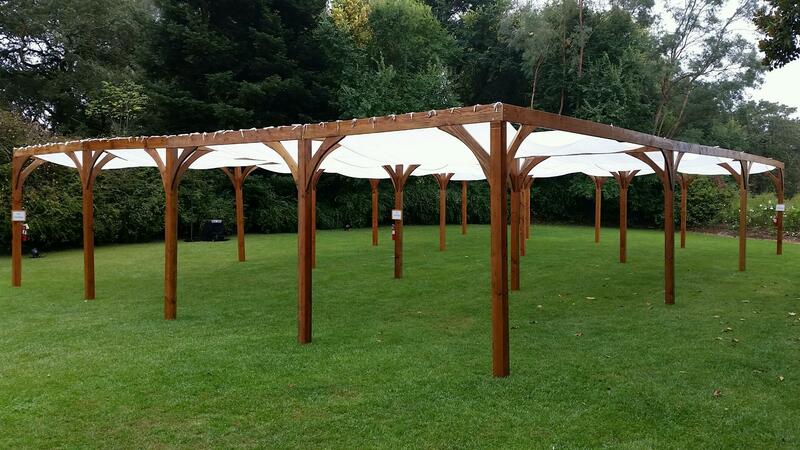 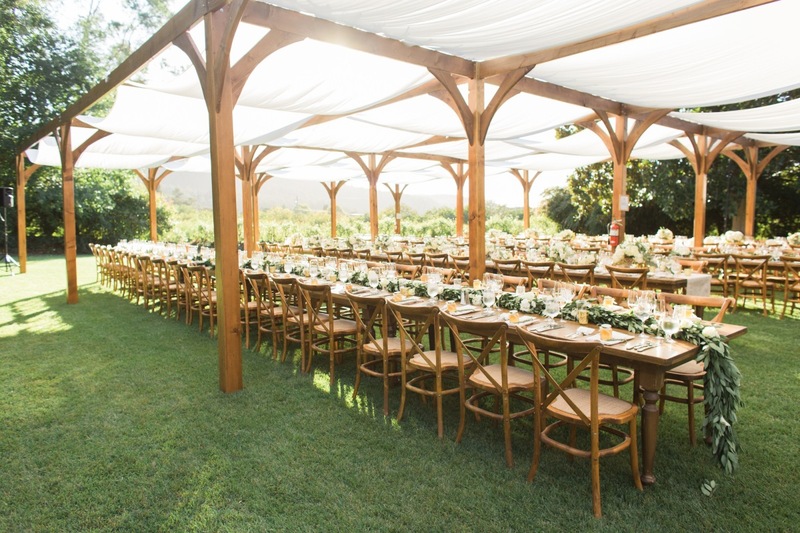 The 10′ x 20′ wood shade structures have the flexibility to be installed together to create up to a 40′ x 60′ structure. 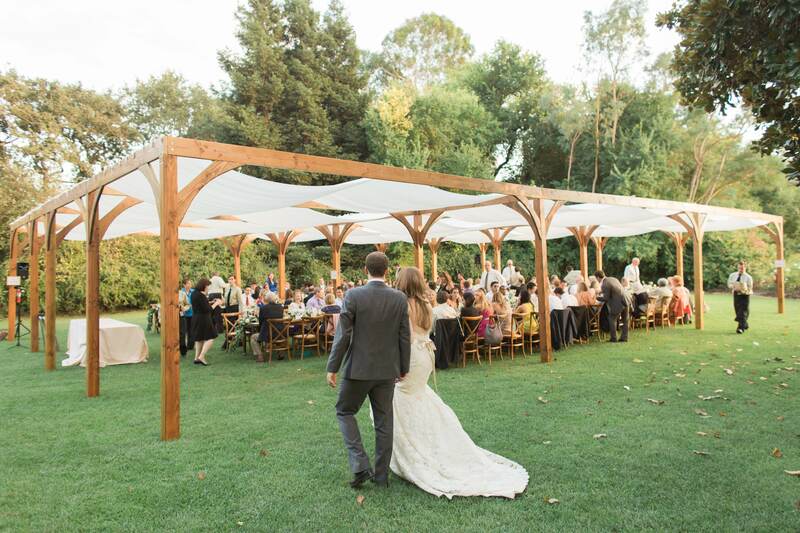 Natural fabric top drapes and side drapes are available.